Alongside designing and making my jewellery & silverware pieces, I work with local institutions to install artwork for the public realm. 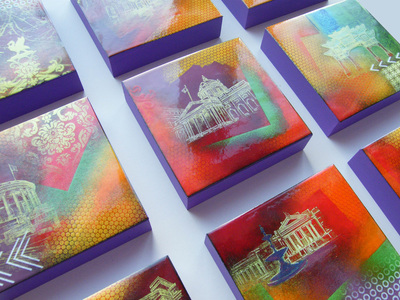 Placing art in the community is always a rewarding experience and shows off enamel and design in new and innovative ways. 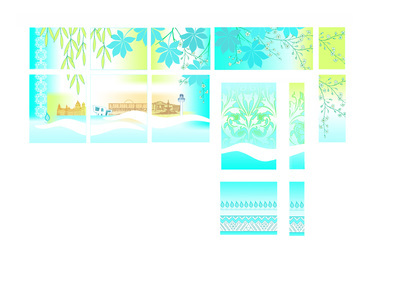 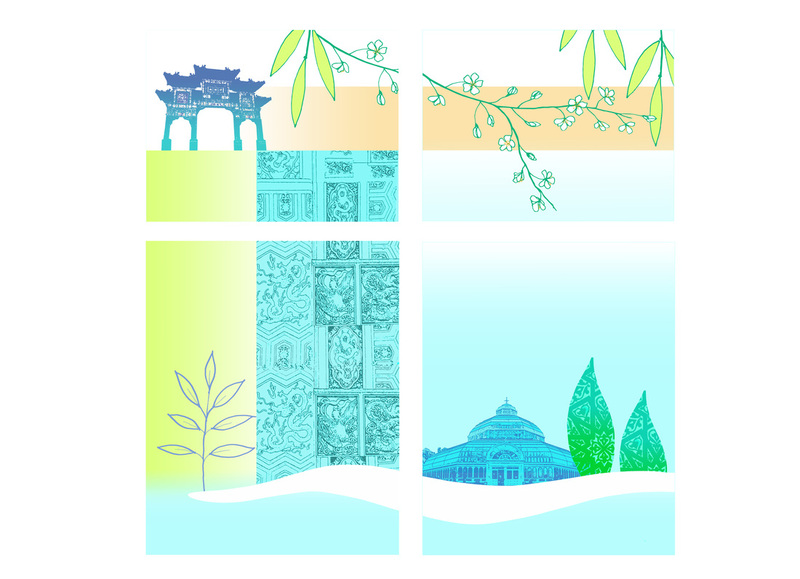 In this project I dropped the conventions of enamel and designed images for the windows. 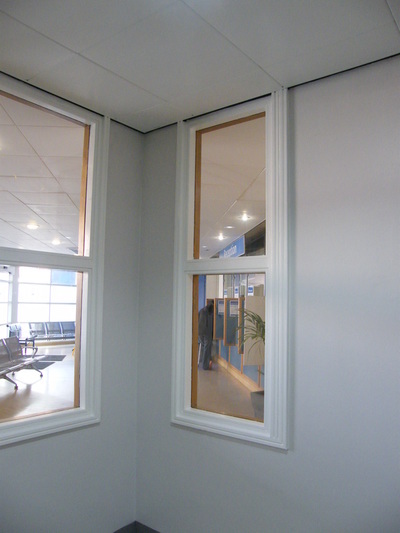 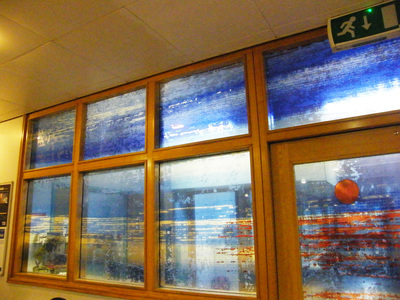 The resulting images created an ambient and relaxing feeling in the window divides between rooms. 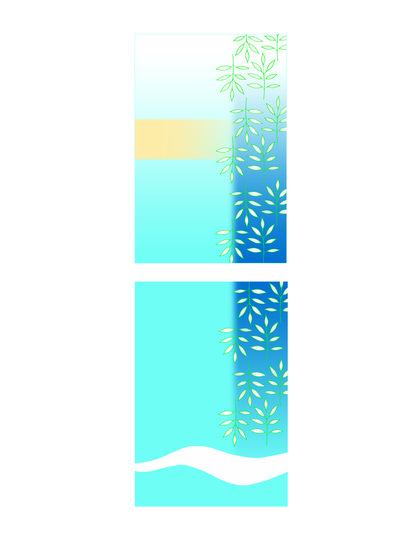 Below are Before / During / and After images & included are the final artwork illustrations for the commission. 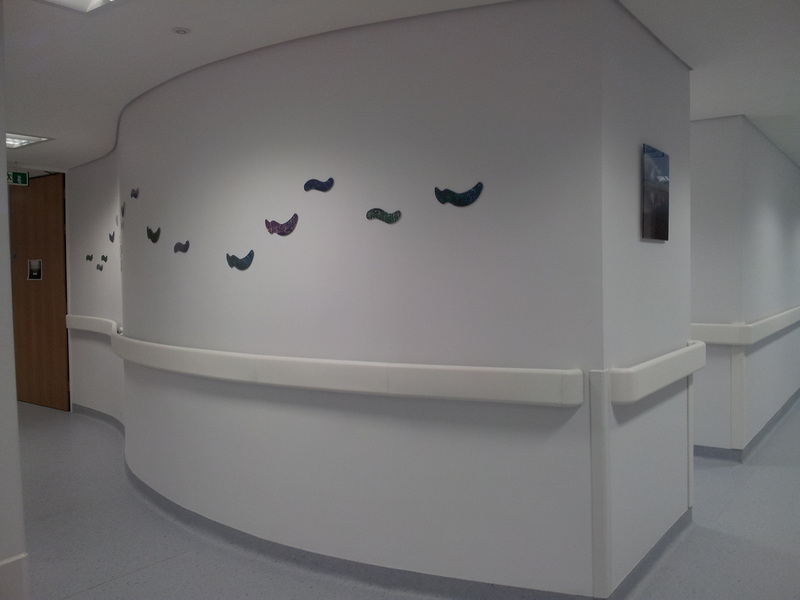 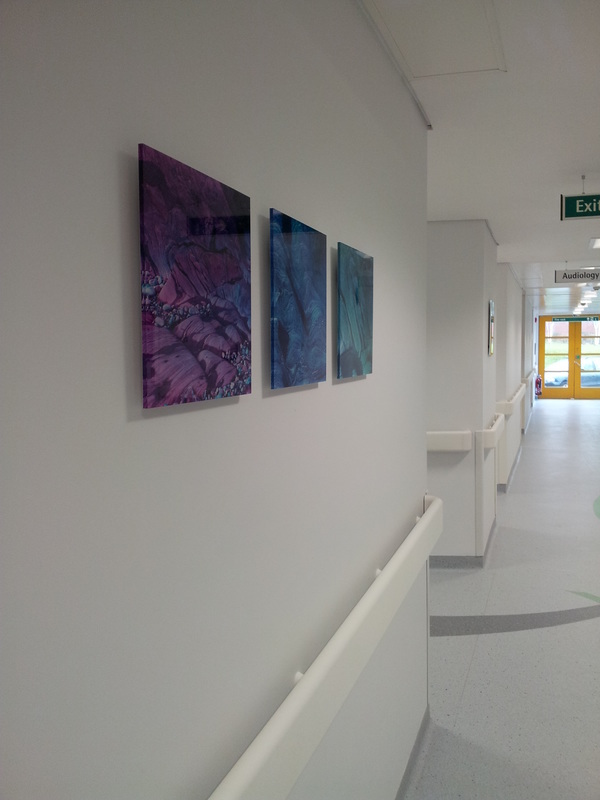 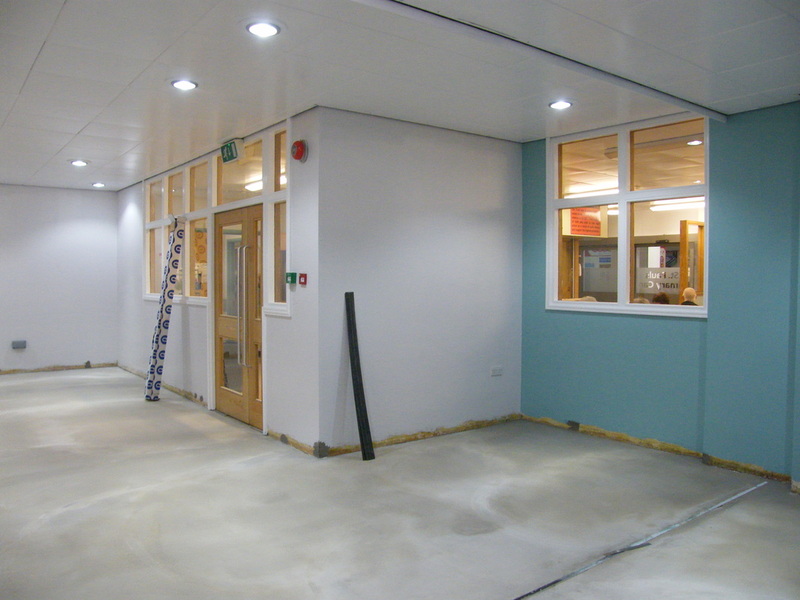 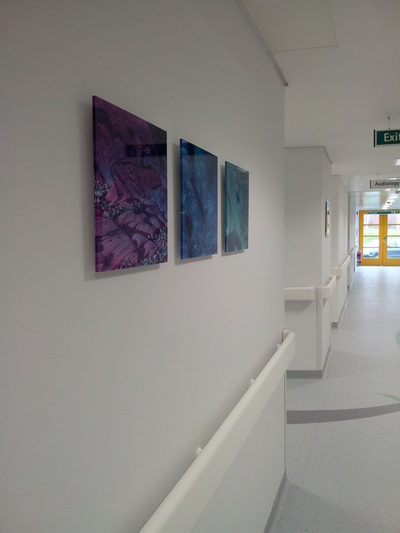 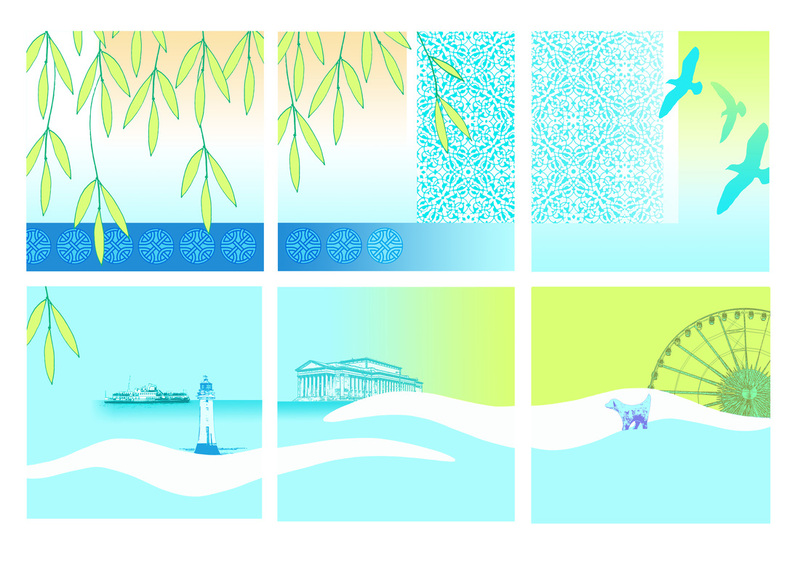 The commission brief was to create a wall based artwork for the new wing at the NHS Broad Green Hospital, Liverpool. 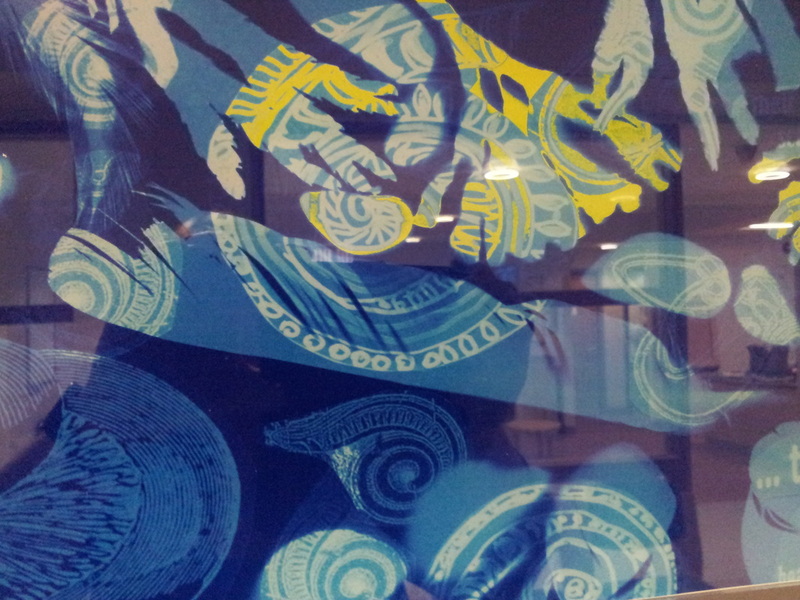 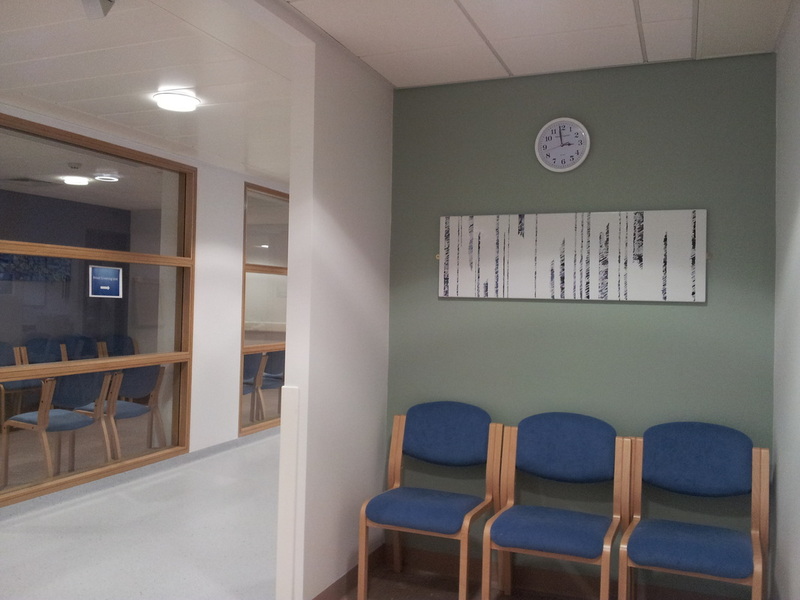 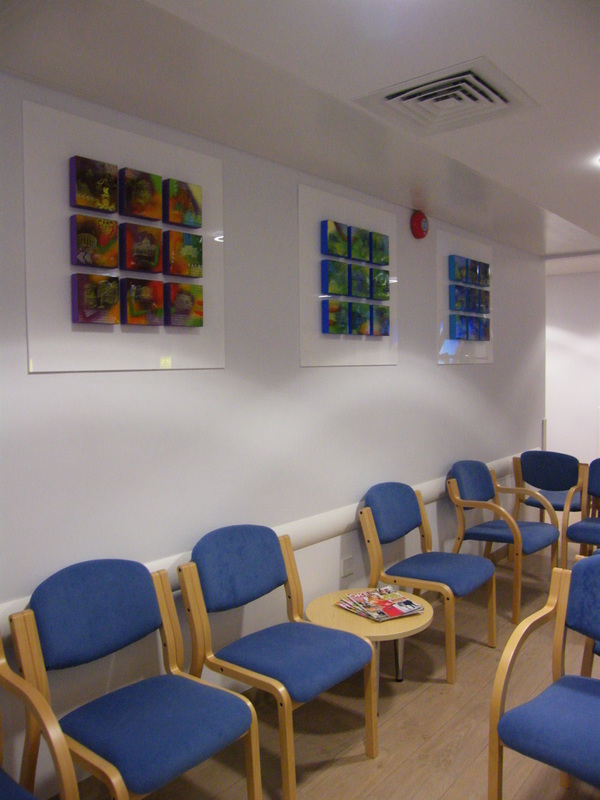 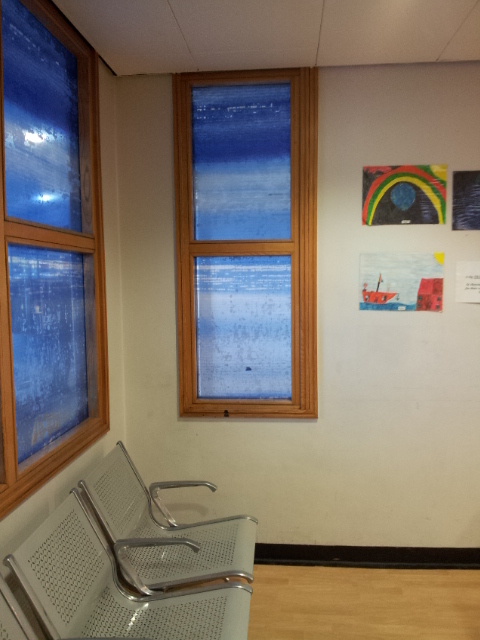 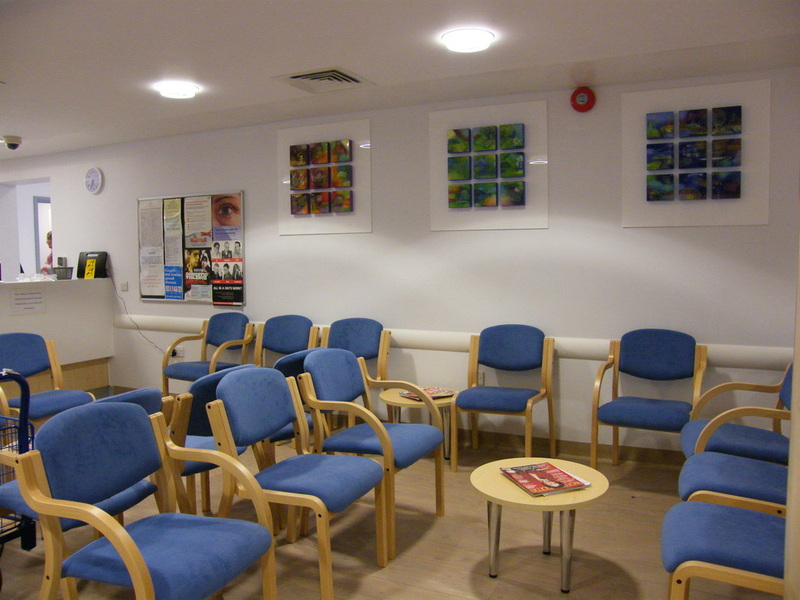 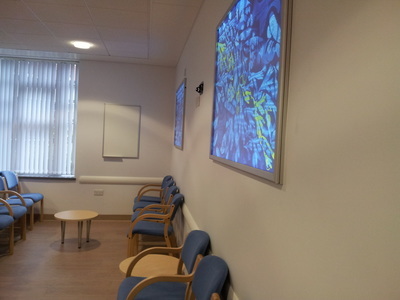 The first phase of the commission was to design panels for the waiting room in the Breast Screening Unit, with the artwork to reflect the title a "Sense of Place". 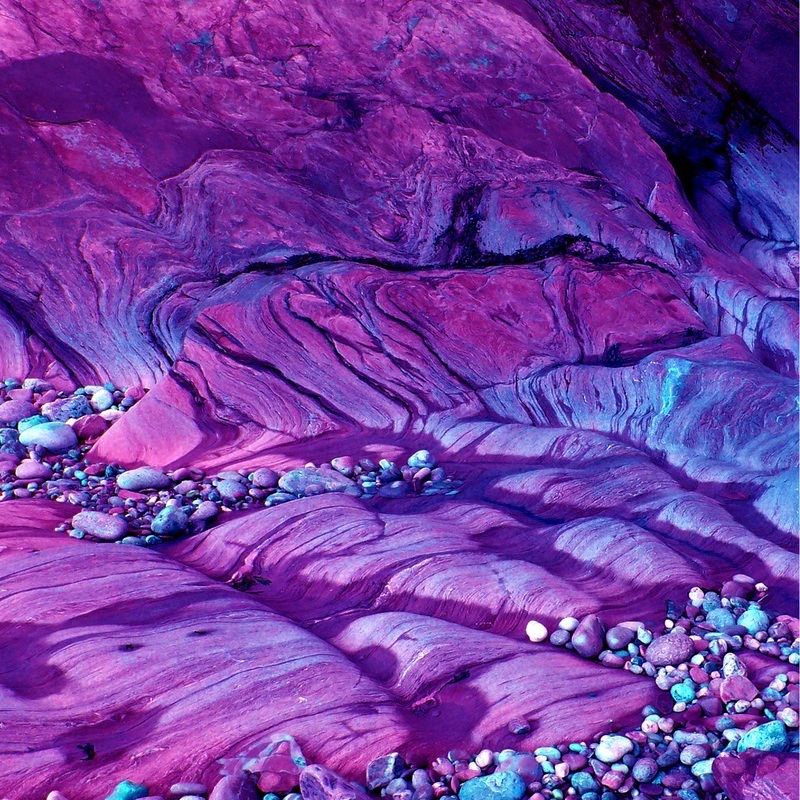 Rich jewel like colours were stipulated rather than the traditional pink associated with breast cancer. 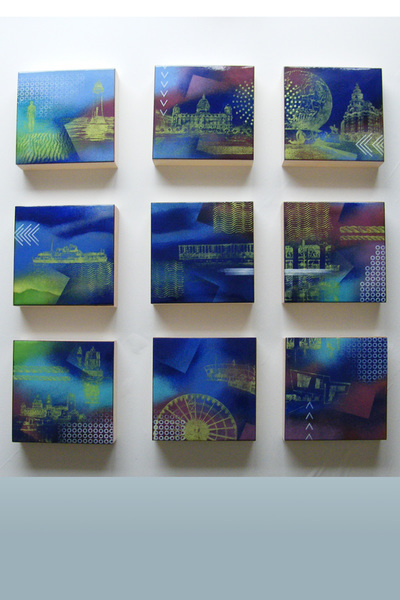 The brief also requested that work should be contemporary feel and also convey a sense of movement, through multiple connected pieces and be distinctive to the unit. During consultation with the department the format of a tryptic of images formed. 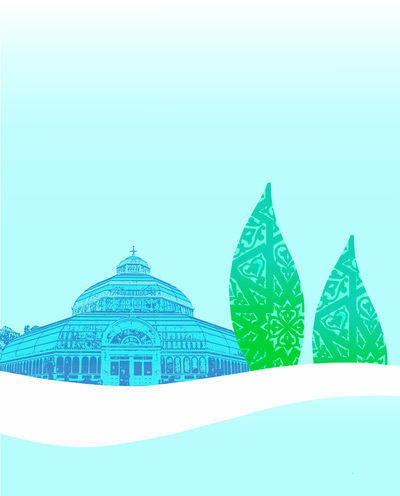 This was developed in order to present the sub themes of the local area to Liverpool, which are Waterfront, Parks & Green Spaces and Landmark/Heritage Buildings. 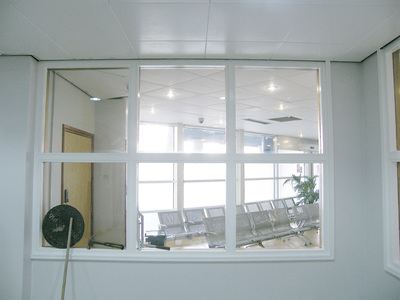 Images were to be illustrated and identifiable to users of the clinic in order that they could connect to the work and link with the space. 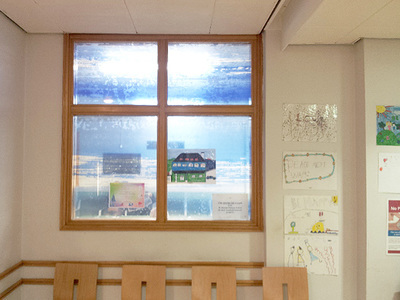 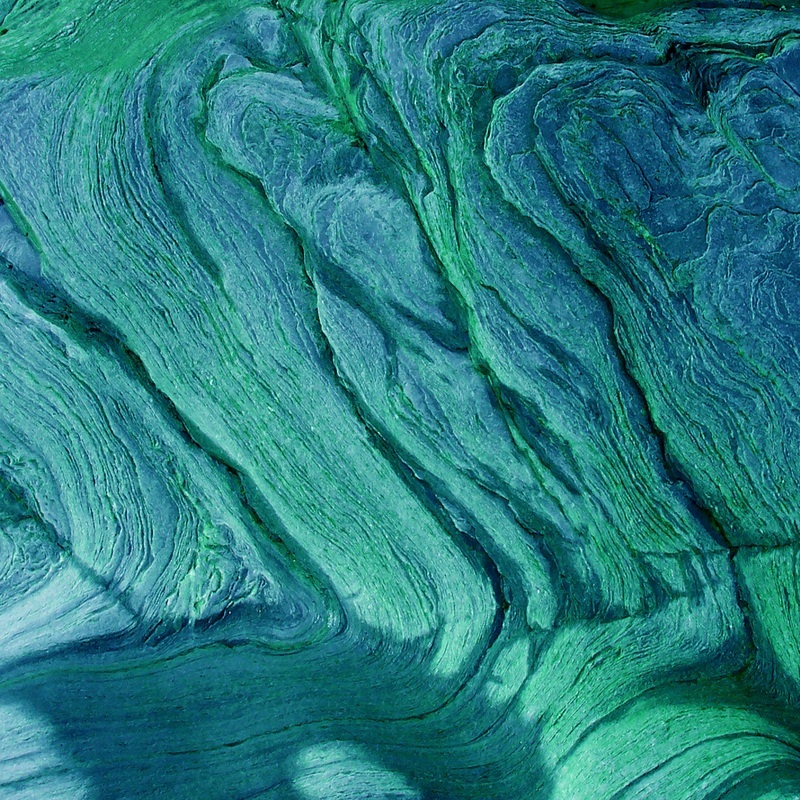 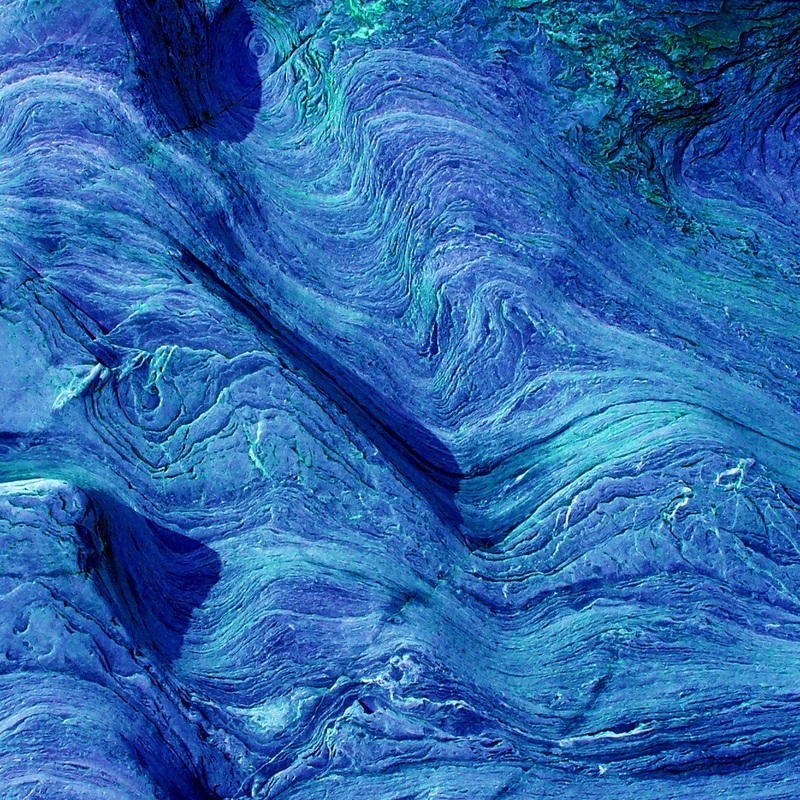 The second phase of the commission was a collaborative project with Sian Hughes. It was a wonderful experience being able to work in tandem with Sian and we enjoyed being able to successfully link the ENT & Pain Clinic Corridors. 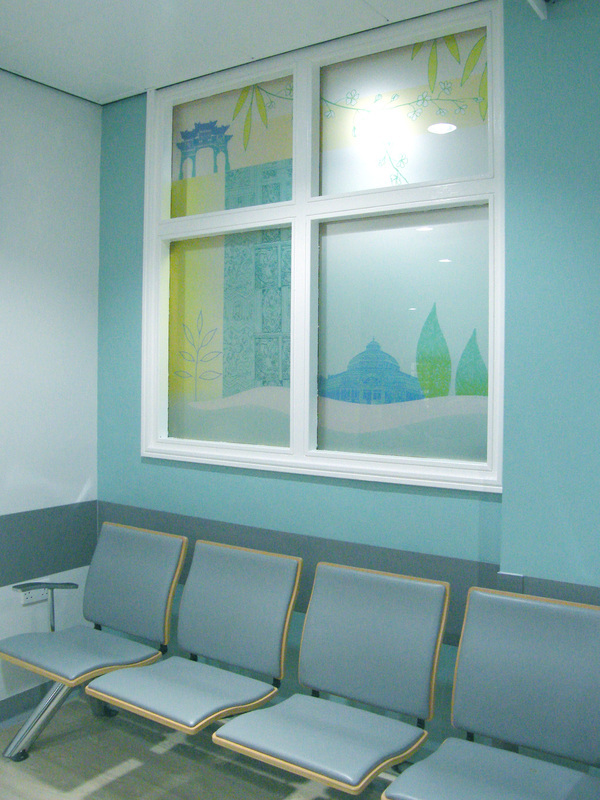 The theme of "water" & "patterns in nature" were the design influences to make the route between departments feel calm and welcoming. 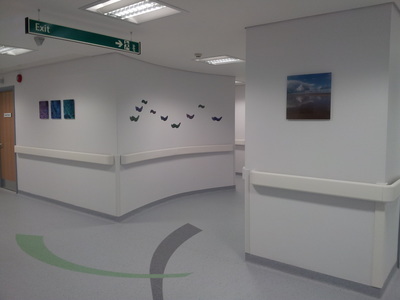 Wave shapes with illustrations from each others images flowed through the main corridor. In the side routes we kept with a square format to echo my enamel panel design. 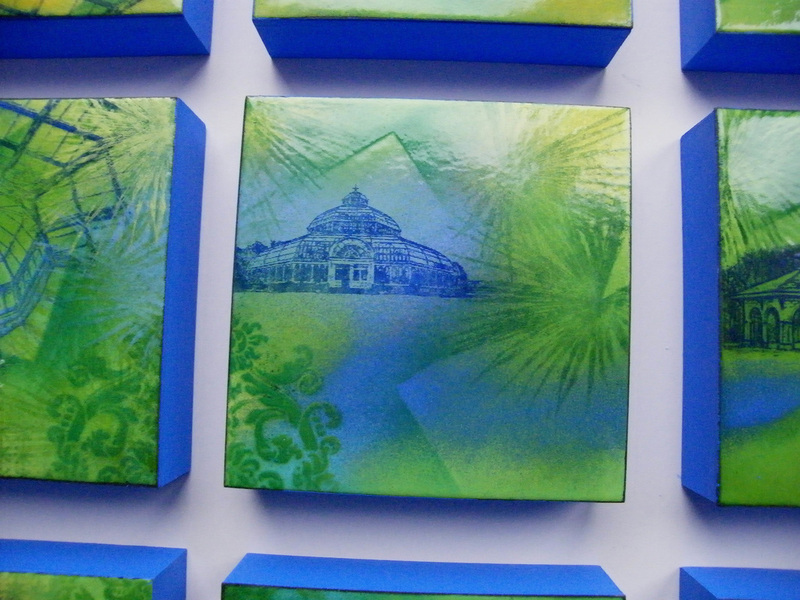 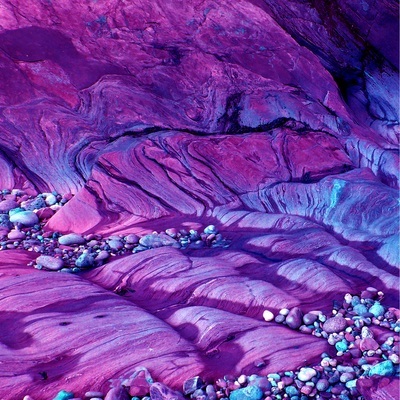 They additionally linked via connecting the main key colours with photographic images, which were on printed onto perspex. 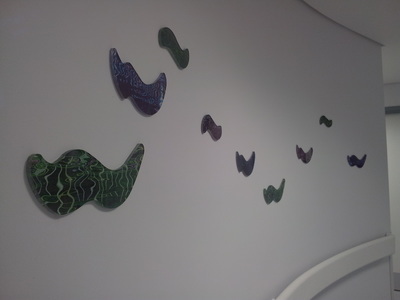 This visually lead the journey to and from Sian's Art Works in the different departments. 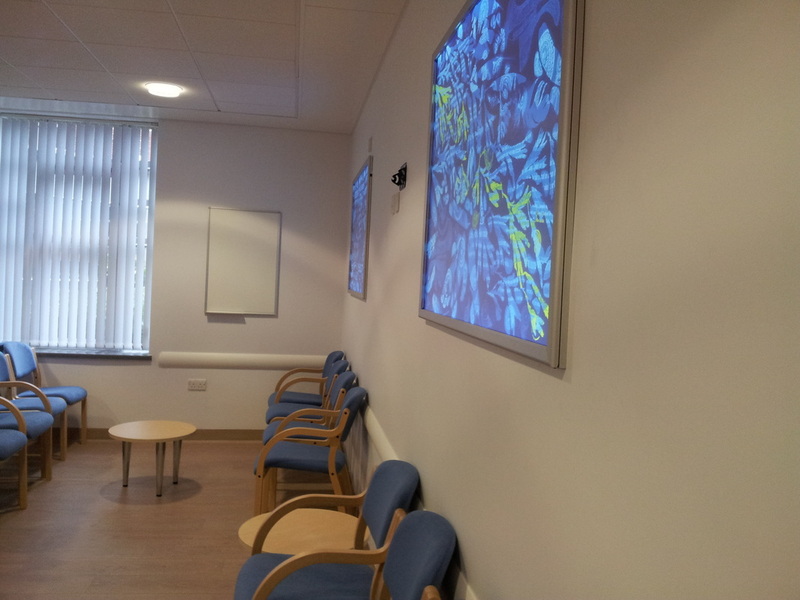 Read here the feedback from the Commissioner Nicky Duirs.